Dental implants is a great solution for lost teeth, as they look and function like your natural teeth. No pain and no dietary restrictions! Many agree that dental implants are a fitting replacement for your missing natural teeth. Dentists and patients equally believe that investing in dental implants is a good decision as the results last for years. Once you decide to go for dental implant, you need to decide on the material you require. Read on to know how you can make the choice. When it comes to dental implants, there are two types of materials used for producing it: Titanium and Zirconium. Among the two, titanium dental implants have gained much popularity and acceptance over the years. That said, both titanium and zirconium have got a loyal following, with each of them having their own advantages. Here’s what you need to know for choosing the dental implant material. Titanium is famed for its strength. What makes titanium good is that it is free from corrosion, so your mouth and teeth will be on the safe side. They can remain free from damage and can last a lifetime, despite the invasion of bacteria or any wear and tear that might be encountered through the usage. However, in rare cases it is true that some people are allergic to titanium, and it is when zirconium is a good option for them. 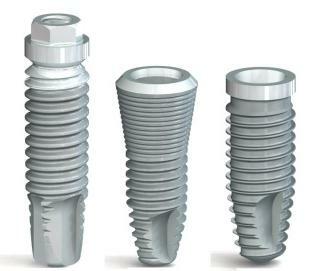 If your body is allergic to titanium, zirconium will be the alternate dental implant material for you. Zirconium is made from ceramic and is free from metals, which is why it acts as a better alternative for those people allergic to titanium. Even though zirconium is a safe option for patients, they are relatively weaker than titanium dental implants. Unlike titanium dental implants, zirconium is easily susceptible to break, therefore you need to be extra careful when you are using this type of dental implant. Deal with your dental implant specialist and seek advice from them, if you are unsure about making a choice. In most cases, you would be qualified for titanium dental implants and the final decision would be made on the basis of your situation. This entry was posted in Health and tagged dental implant specialist in Sydney, dental implants, titanium dental implants by [email protected]. Bookmark the permalink.